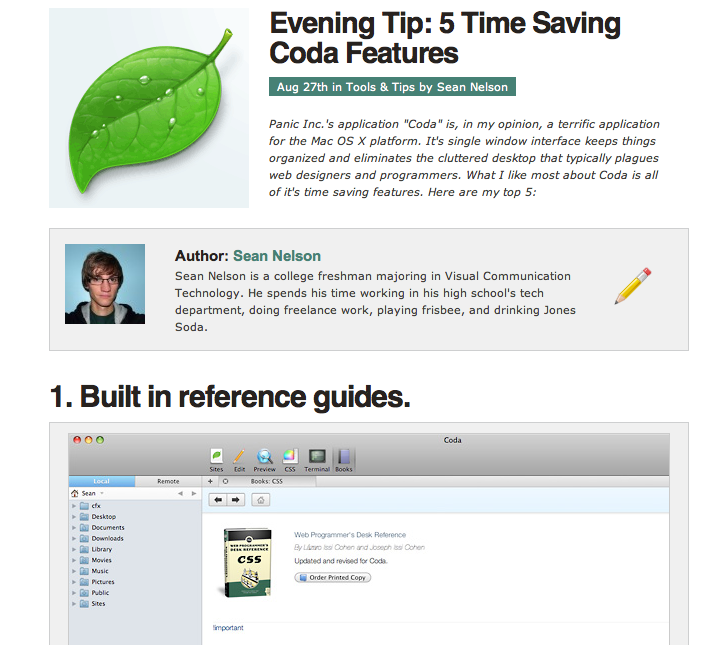 I'm quite sure that every Web developer out there who owns a Mac knows / is using Coda. 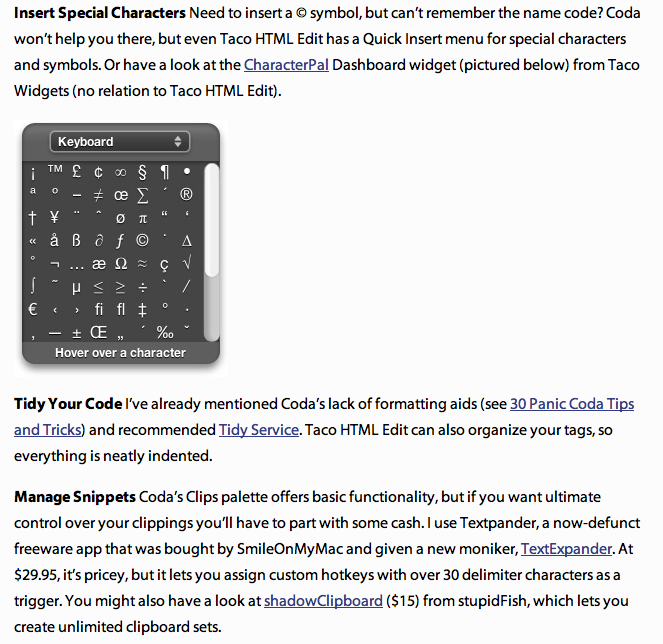 "Coda is a text-editing, CSS-styling, WebKit previewing, file-managing, FTPing, terminal-accessing, web-site-building and publishing application for the Macintosh." 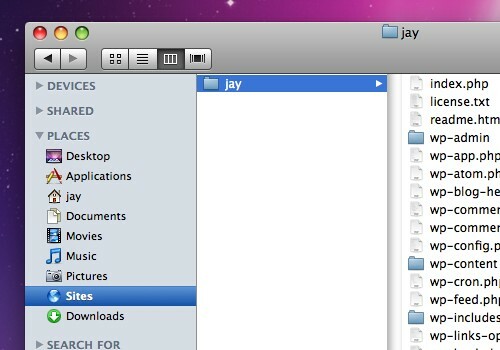 Now, I've collected 120 of the best resources about Panic's Coda: they include tutorials, clips, snippets, plugins and more. 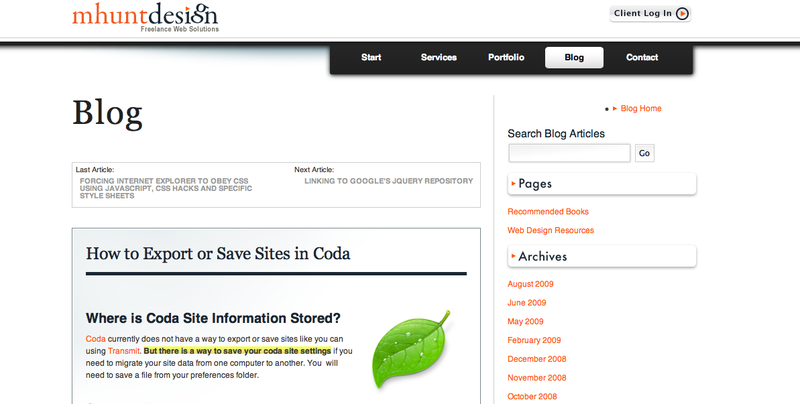 Do you know other useful tools for Coda? 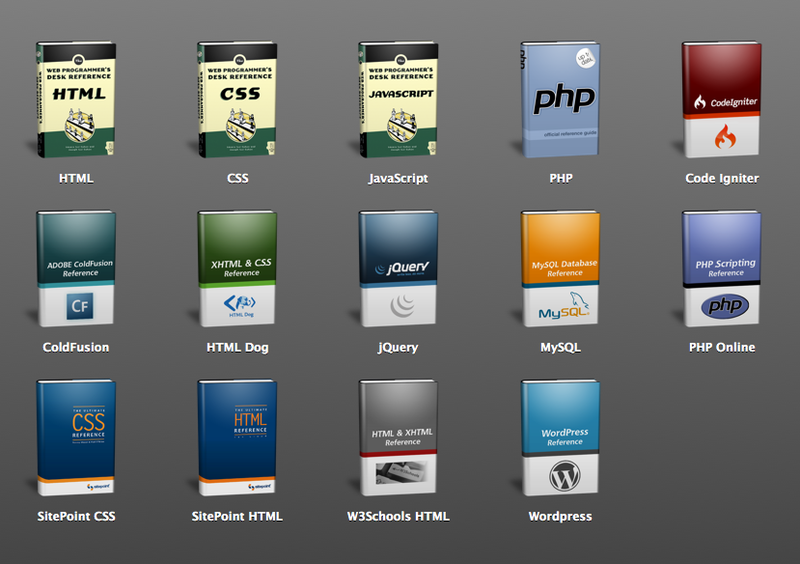 Feel free to share them in the comments! 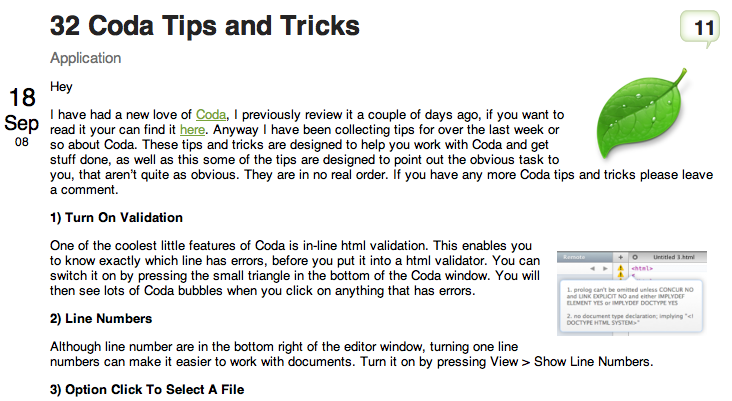 "Basically, CSS Tools brings that functionality to Coda. 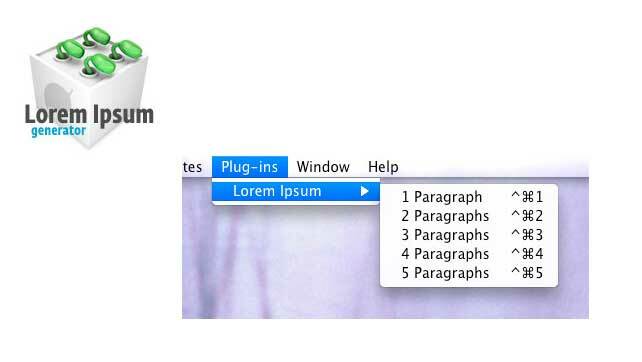 You’re able to convert a style sheet from single line to multi line and vice versa. 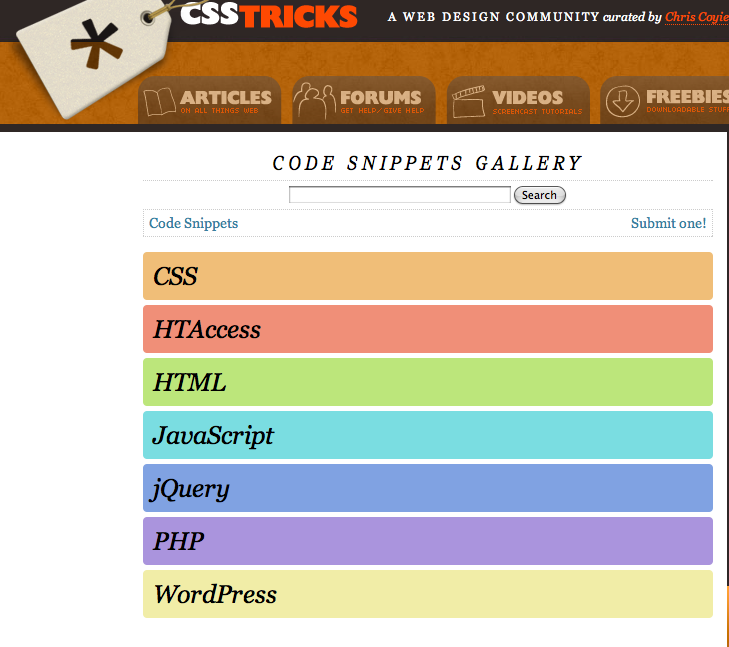 You’re also able to compress your CSS if you’d like." 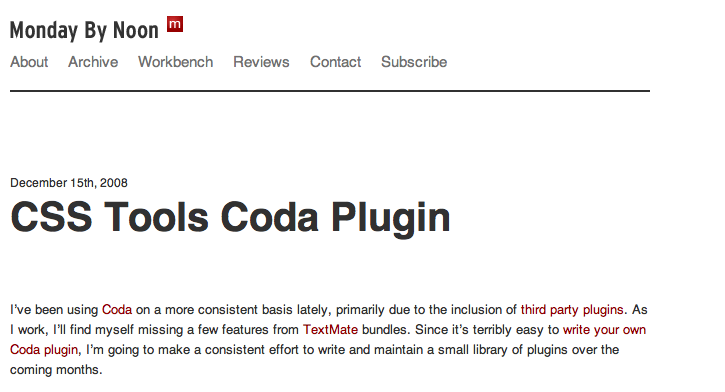 "Text Editor Actions for Coda (formerly “Textmate Emulation Actions”, and always TEA for short) is a plugin that emulates some of Textmate HTML.bundle actions." 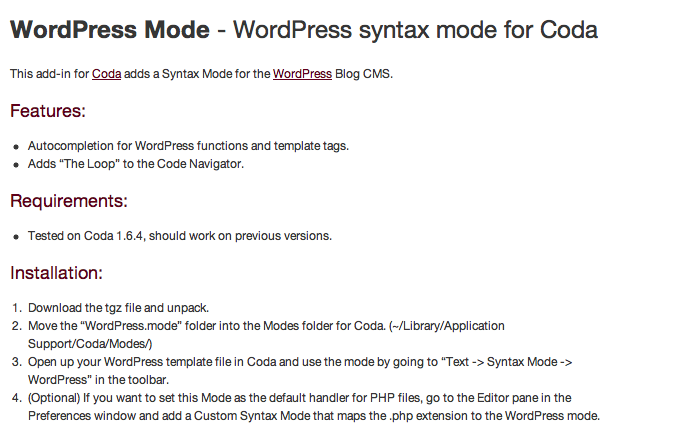 - Autocompletion for WordPress functions and template tags. 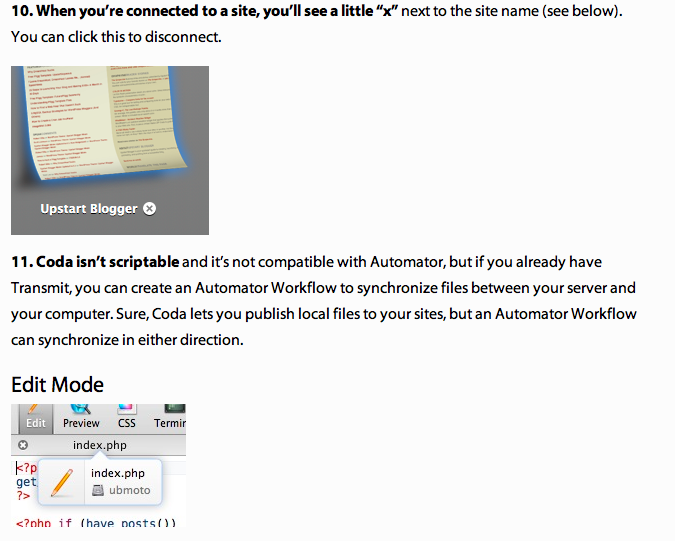 - Adds “The Loop” to the Code Navigator. 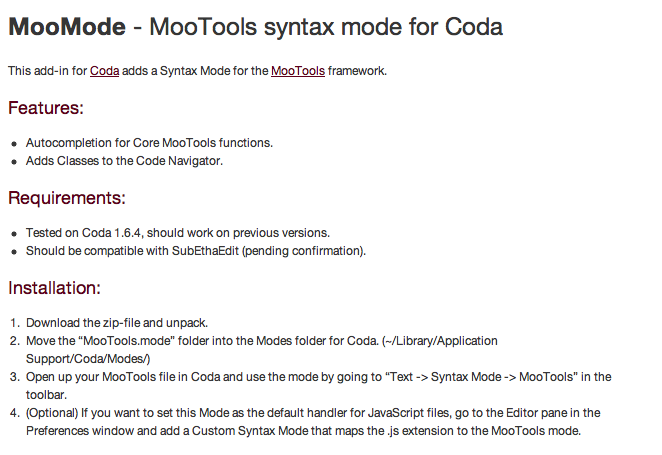 - Autocompletion for Core MooTools functions. 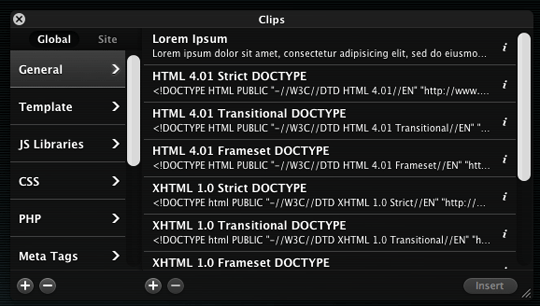 - Adds Classes to the Code Navigator.